Wildest of All is a tale of three generations. In the wake of Peter Donnelly’s death, we meet his mother, Anne, his Wife, Jude, and his daughter, Sissy, all of whom spiral into very different but equally destructive paths of grief. With one small action, a rift is torn between Sissy and her mother, and although the novel still flits between all three women, the weight of the narrative follows Sissy as she quits school, leaves her hometown of Glasgow and heads to London with two friends. P. K. Lynch details grief and modern life with a gritty approach, firmly embedded in realism. There is no pretence and no dousing of the effects of grief in any melancholic allure. In this sense the narrative is understated, yet compelling all the same. Lynch draws the perfect balance of telling and silence, carving spaces filled with questions and a need to keep turning the pages. Although the novel is composed of unpleasant and abrasive sentences, that is not to say that there is no beauty in P. K. Lynch’s writing; in fleeting moments appear lines so exquisitely written they seem to exist in a dimension of their own, not burdened by the affliction of the rest. As Anne’s devout Catholic demeanour begins to crumble, Jude collapses in on herself and Sissy plummets into a life of partying and substance abuse, it becomes difficult to find likeable qualities in the three protagonists. 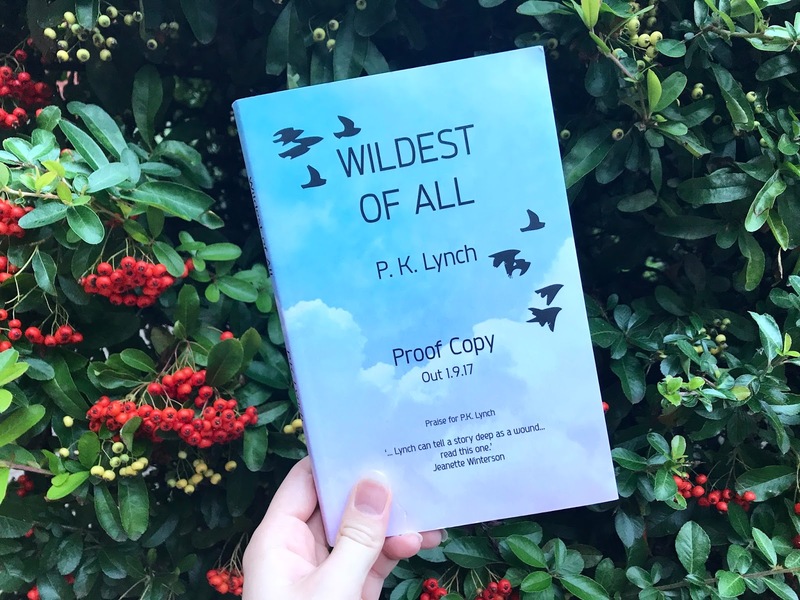 For those who struggle to connect with a book without adoration for a character, Wildest of All may not be an enjoyable read, but this is hardly the point. P. K. Lynch is not writing to romanticise grief. Nor to present any delusions on human nature. This is life. And it’s ugly. And it’s rooted in heart-wrenching accuracy. *I was sent a copy of this book in exchange for a review, but all words and opinions are my own.